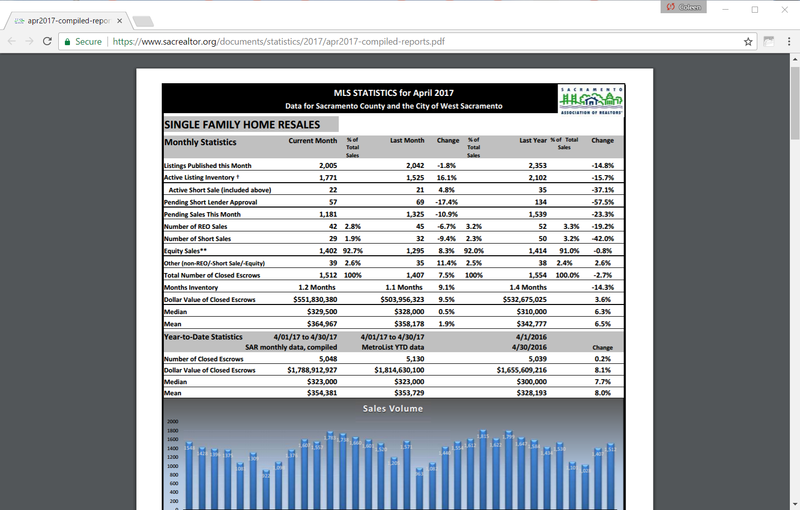 According to the latest home sales numbers from the Sacramento Association of REALTORS(r) in April, 2017 over 1,500 homes sold. GO HERE to view the latest sales numbers. As you can see, the median price continues to rise, the number of closed escrows is up and the number of homes sold year to date is also up. I am hearing reports of 5-15 offers on some homes due to a shortage of homes in good shape now for sale. To get a better perspective of what's going on, take a look at this graph. Notice the relationship of the homes sold, those that are for sale and those that went into escrow (pended). The marketplace clearly favors the seller at this time. If you're considering the sale of your home, please contact us right away so we can get it exposed to the many unfulfilled home buyers who are willing to pay top market value for your home. We offer a free consultation about your home's marketability and value. Call Coleen and David Jurewicz, (00661096, 00826558) RE/MAX Gold at 916.682.6454 today.